Our pest control company specializes in the removal and control of stinging insects. Do you need a pest control company that is equipped to handle stinging insects? If so, you’re in the right place! 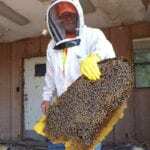 Here at Florida Bee Removal we deal with roughly 300 to 400 bee removals each month and have more than 57 years of experience. Our bee management professionals perform onsite inspections as part of a free bee control assessment that includes a detailed plan on what we will be doing to eliminate bees or other stinging insects you have in residence at your home or business. 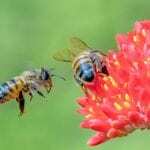 Some pest control companies will handle small-scale bee or wasp situations, but may not do so as effectively as we do because it isn’t something they specialize in. 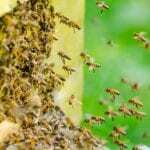 Furthermore, they won’t usually be willing to help you if you have a swarm of thousands of yellow jackets, wasps, or hornets because they lack the proper training. Our pest control technicians receive extensive training regarding stinging insects, and we also participate in ongoing workshops and seminars to ensure we understand the latest developments in this industry. We are passionate about protecting your property and the people on it from the dangers and hazards of bees, wasps, and more. We carry the licenses and insurance required to provide our specialized pest control, so if you are a property manager or business, you can be assured we meet your requirements. We also provide 24/7 emergency response so that your staff and other visitors are safe from harm as soon as possible. If you have any questions about our pest control services in the Lakeland, Florida area, don’t hesitate to contact us.